Sidh Bali Temple is situated at Kotdwar town of Garhwal distirct of Uttarakhand, which is just 230 km. from Delhi and 76 km. from Haridwar. As per the the Nath community Guru Gorakhnath and their pupil, who are known as Sidh (Saint) meditated here for long time. So many saints have been meditated here for a long time. Some of them are Baba Sitaram ji, Baba Gopal Das Ji, Baba Narayan Das Ji & saint Sevadas Ji. Falahari Baba Ji meditated here for so many years and ate only fuits. One Mohammedan saint also leved here for so many years. This place is worshiped by Hindu as well as Mohammedans. As per the historians Saint Sidhwa (14th Centaury) also meditated here who is worshipped as Sidh in this place. During his visit in this area he meditated in four different places Sish Bali, Moda Khal, Dhaulia Uderi and Kandi Khal. Kotdwar, the biggest business center and the only railway terminus of the district, enroute the all items for the necessities of the hill region of the district. Kotdwar is only plain town of this mountainous district having most of the industrial potential. Situated at the bank of river ‘Khoh’ in the ‘Bhabar’ region of Himalyan foothills, its altitude is 650 meters from sea level. It is one of the hottest places in the district. Area of the city is about 2.59 sq. km. Total population as per 1991 census is 21,378 with 11,425 male populations and 9,953 female population. The nearest airport is Jollygrant, a place near to Deharadun at a distance of 115 km. via Haridwar. 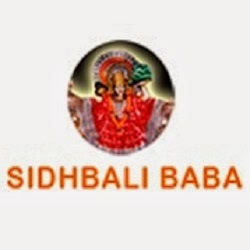 The famous religious places around the city are Siddhbali and Durgadevi Temple. The excursions from the city are Kanvashram, Bharat Nagar, Chila, Kalagarh, Medanpuri Devi, Shri Koteshwar Mahadev.